I made my own day last week. Or some salad greens made my day, but I bought them, so it was kind of me. 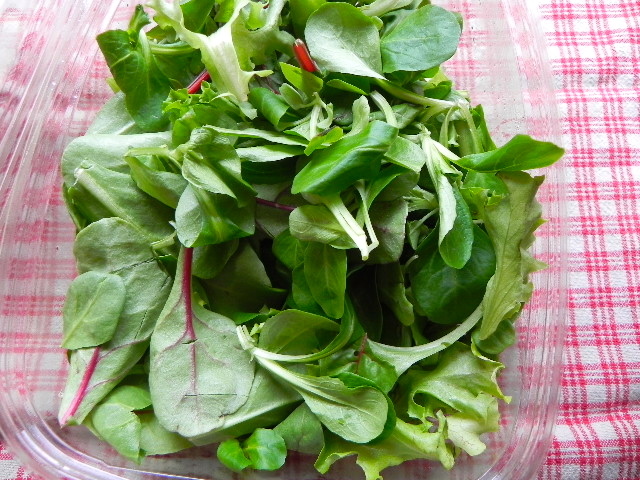 I used to buy this type of mixed greens all the time, but lately I haven’t been finding it where I shop, and was missing it. I’m so excited to have it again! Let me list off the ingredients in case you can’t make it out in this photo: mache rosettes, baby red chard, baby green chard, tango. Usually I mix it with arugula… and I did, for lunch. 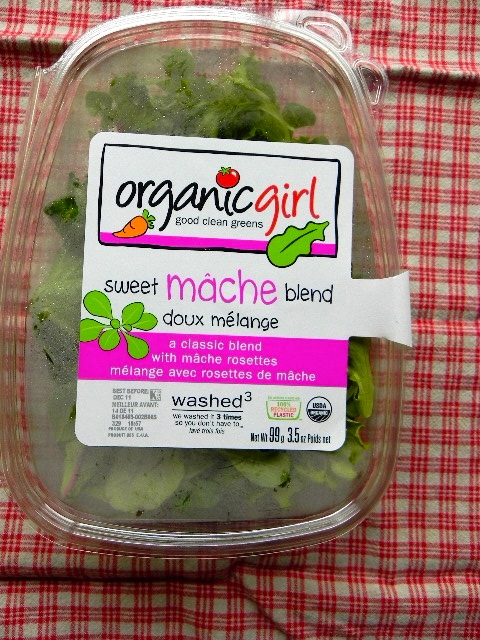 2 handfuls of mache mix + baby arugula for lunch! Yay! 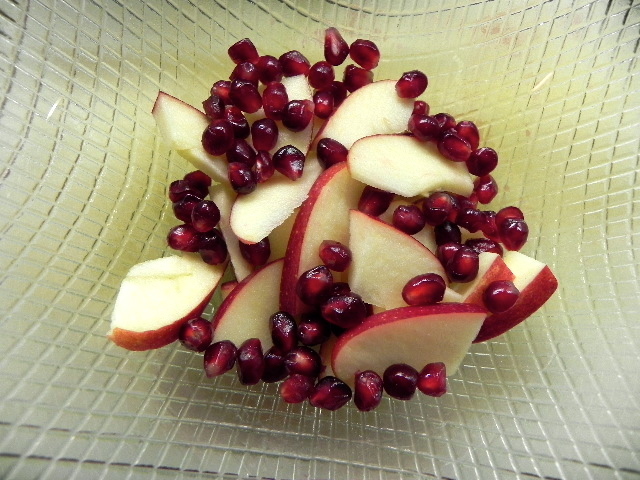 Okay, and some pomegranate seeds, apple and feta. It was salad. But still. And I couldn’t wait to have it again for dinner.